Not only do undergraduate science students at Notre Dame take part in the latest research during the academic year, but they also have the chance to expand their horizons during the summer by taking part in research elsewhere in the country—and the world. 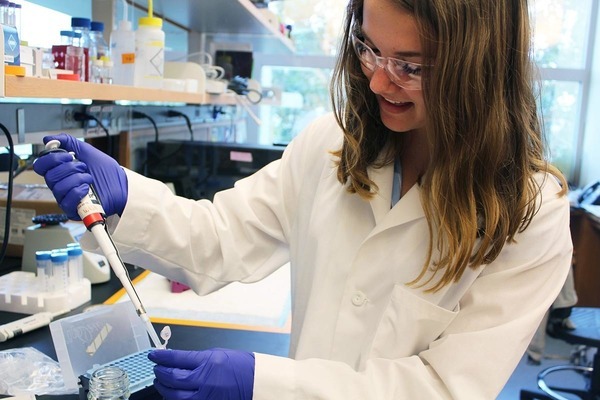 Several undergraduate students completed summer research off campus at different facilities. 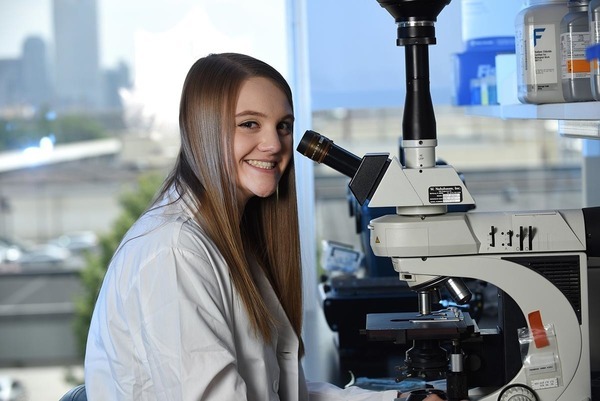 Senior biochemistry major Rebecca Gergiadis spent her time conducting cancer research at The Ohio State University with Amanda Hummon, adjunct associate professor in the Department of Chemistry and Biochemistry and associate professor of chemistry and biochemistry at The Ohio State University. Gergiadis studied how colorectral and lung cancer affect gene expression in the MAPK/Erk Pathway, which is commonly altered in cancers. She also compared the sensitivity of colorectal cancer to lung cancer with regard to chemotherapies. Junior Abigail Brunory completed her summer research at the Indiana University School of Medicine in Indianapolis. Brunory, who studies biological sciences, worked with Philip Johnson, associate professor of anatomy and cell biology in the Stark Neurosciences Research Institute. She investigated neural circuits and how stimulation of the perifonical hypothalamus (PeF) causes panic-associated behavior and cardiovascular responses in rodents, and self-reported panic attacks in humans. While Gergiadis and Brunory remained in the Midwest this summer, junior Megumi Inoue spent hers pursuing her passion for medical illustration in Kathmandu, Nepal. Inoue received a Da Vinci Grant from Notre Dame’s Institute for Scholarship in the Liberal Arts to conduct her project, “An Exploration of Tibetan Medical Paintings." Inoue started her trip in New York to do some preliminary research before her 10-week stay in Nepal. In Kathmandu, she worked with the Association for Craft Producers to examine how science illustration can be incorporated into product design such as textiles, toys, and jewelry. “I enjoyed the ‘field sketching’ the most, where I go out and sketch the scenery, noting and absorbing the local colors and aesthetics,” Inoue said. Inoue’s work can be found here. To explore what it’s like to do undergraduate research, visit the Fall Undergraduate Research Fair (FURF) from 6 to 9 p.m. Thursday, Oct. 25 in the Jordan Hall of Science galleria. Originally published by Cliff Djajapranata at science.nd.edu on October 03, 2018.